There was a time when Musashi-Koyama was famous for little besides having a shopping arcade that seemed to go on forever. That arcade is still there, but we're more likely to make a detour to the area to get a quick jolt at Amameria Espresso. Opened in the summer of 2010 by certified cupping judge Toshiaki Ishii, this intimate shop – all exposed brick and cement walls, wooden floors and upright piano in one corner – roasts its own beans, and the aroma alone is likely to lure first-time customers. 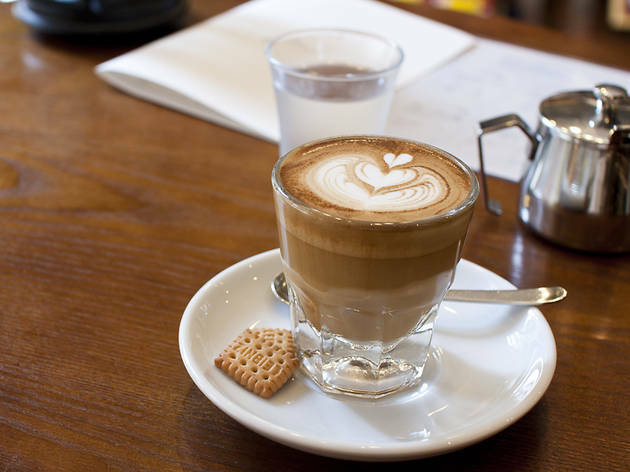 Coffees are prepared on a handsome Synesso machine, and the espresso is buttery with a bracing citrus tang. 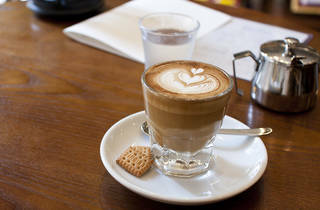 The Gibraltar – essentially a condensed latte served in a dinky glass – has good crema, smooth with a caramelly finish. Amameria sells its house-roasted beans, including an award-winning (and, at ¥1,800 for 200g, pricey) Nicaraguan San Antonio, and they also stock an array of coffee-making gear. The shop is non-smoking, and there's a bare-bones food menu that includes 'butter toast' and waffles.